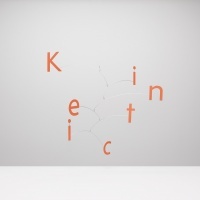 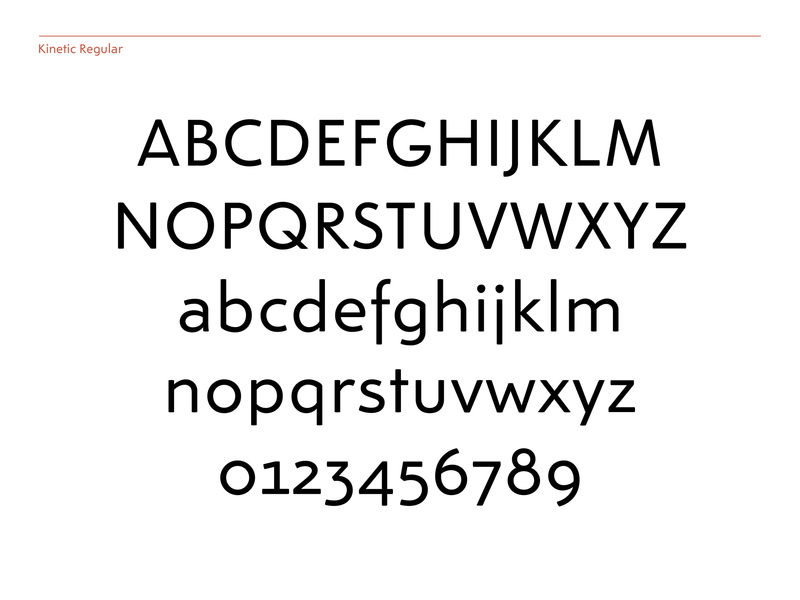 Designers Noel Pretorius and Maria Ramos have created a typeface inspired by US artist Alexander Calder’s kinetic sculptures. 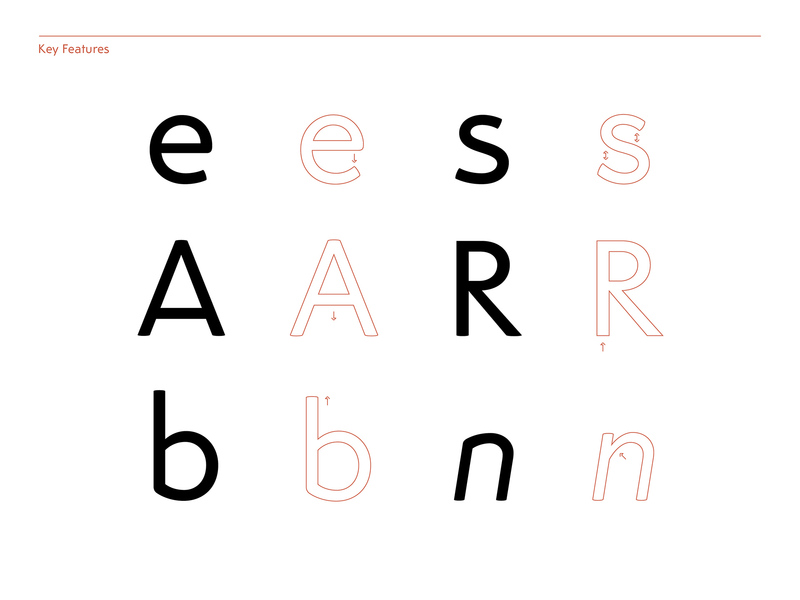 Pretorius and Ramos met while studying type at Reading University. 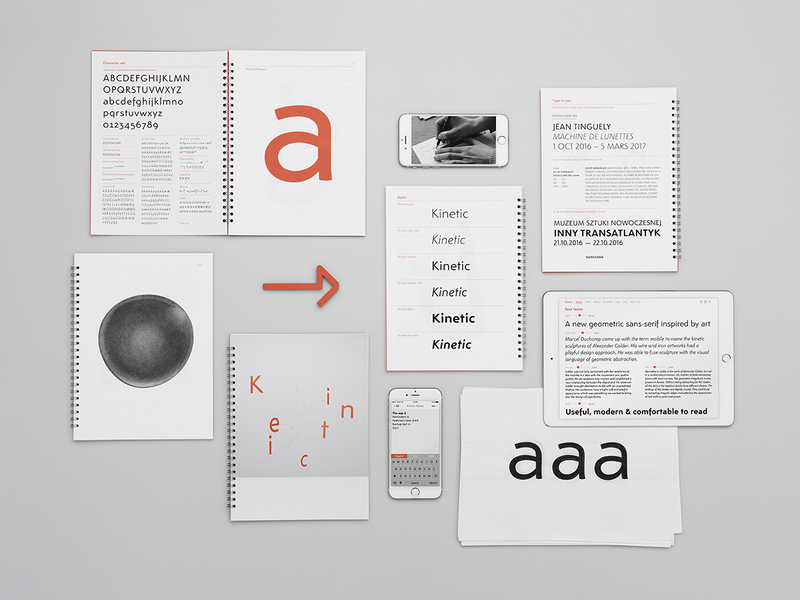 (Ramos is based in Santiago de Compostela and Pretorius, in Stockholm). 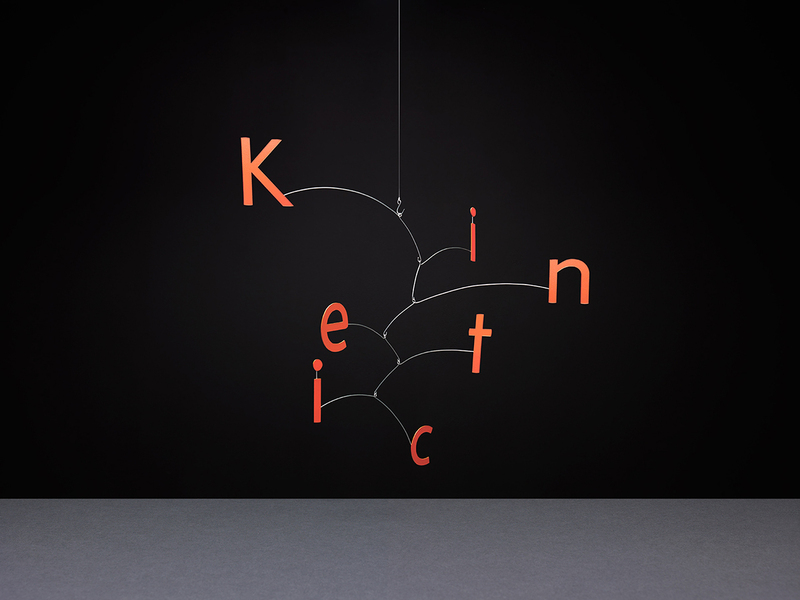 After visiting an exhibition of Calder’s work at the Tate Modern, the pair decided to create a typeface inspired by the “light, playful and soft appearance” of his wire mobiles. 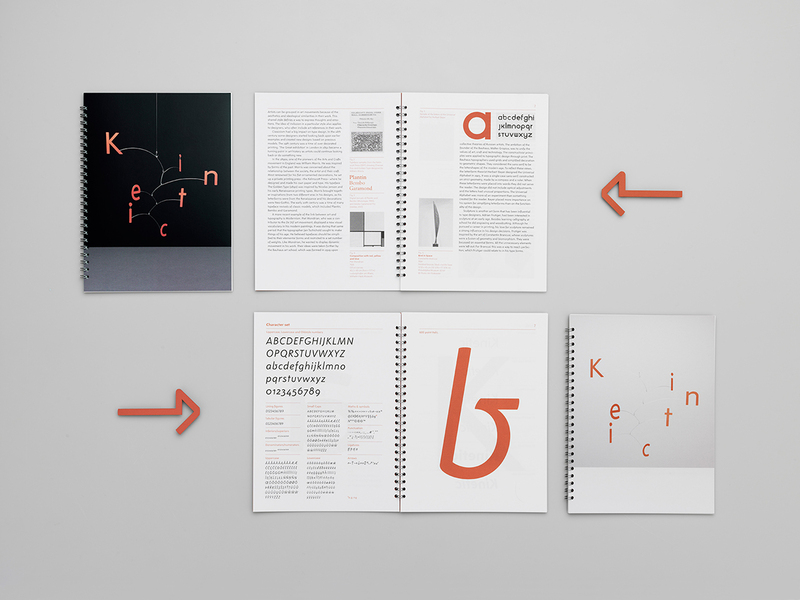 The result is a geometric sans serif with some playful touches. 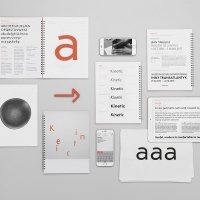 “The endings of the strokes are slightly curved, a trait inspired by the bleeding of printed type on paper, which gives the typeface a softer appearance both on print and screen,” say the pair. 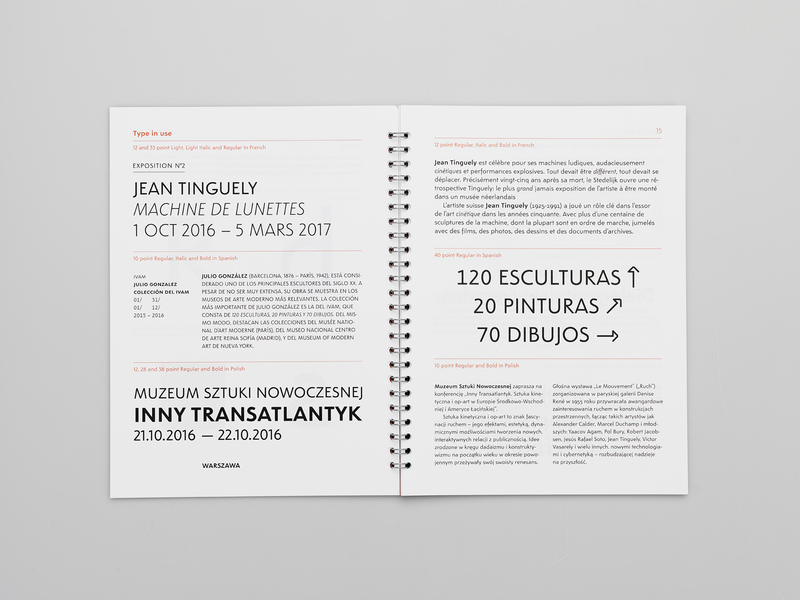 “Another feature that brings a more organic feel into the typeface is the slightly different shapes of the dots in the type family. 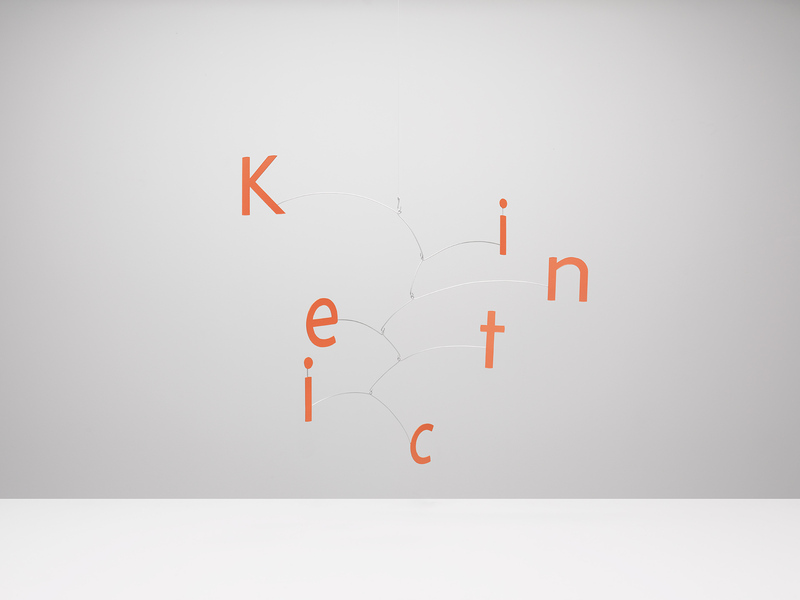 This is something that you can also see in Calder’s iconic kinetic sculptures.” Italic letterforms are created from a single stroke wherever possible, as if constructed from bent wire. 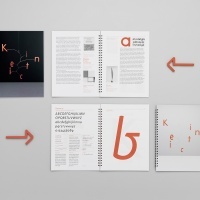 The Kinetic family includes three weights plus italics, icons, arrows and OpenType features. 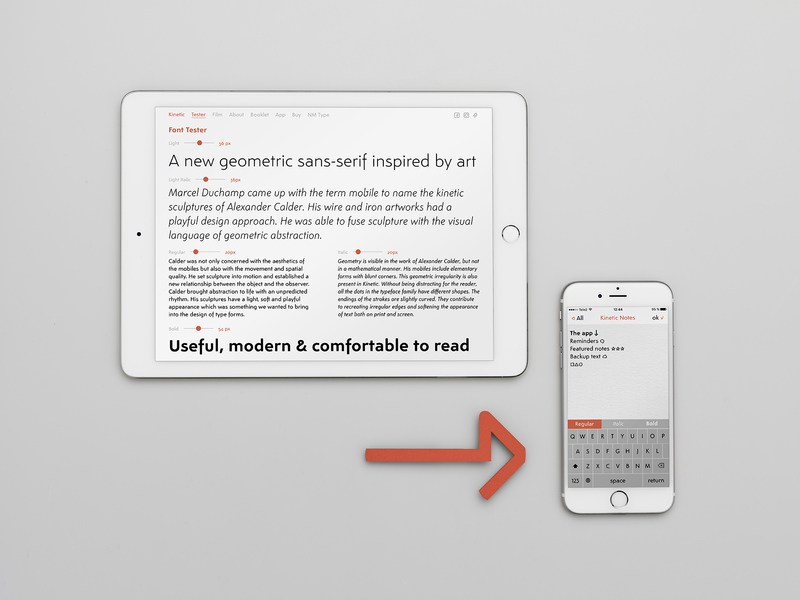 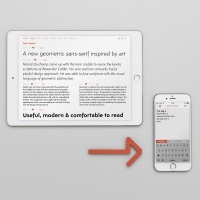 Pretorius and Ramos have launched a website, booklet and app to promote the typeface – the free app allows users to create notes in Kinetic while the booklet includes an essay on the link between art, geometry and type. 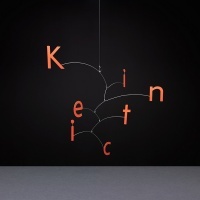 The pair have also produced a short film about the project and teamed up with The Makers to create a mobile using Kinetic letterforms, photographed by Carl Kleiner. 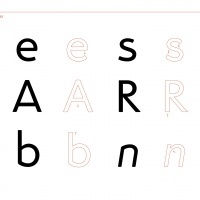 You can buy the typeface at kinetictypeface.com or download the app here.